Ships tomorrow if you order in the next 19 hours 59 minutes. Niacin, also known as Vitamin B3, is an integral part of the B vitamin complex and can offer a host of health benefits when taken regularly. Flush-Free Niacin from Integrative Therapeutics is a reliable form of niacin that won't cause your skin to flush after you've taken it. Flush-Free Niacin won't cause fatigue or upset stomach, either. Integrative Therapeutics Flush-Free Niacin provides you with optimal support for the maintenance of healthy cholesterol levels. It may also improve your circulation by support your body's metabolism of fat and cholesterol. It comes in an easy-to-swallow capsule form that can be taken three times daily for optimal health benefits. Keep your cholesterol levels in a healthy range. 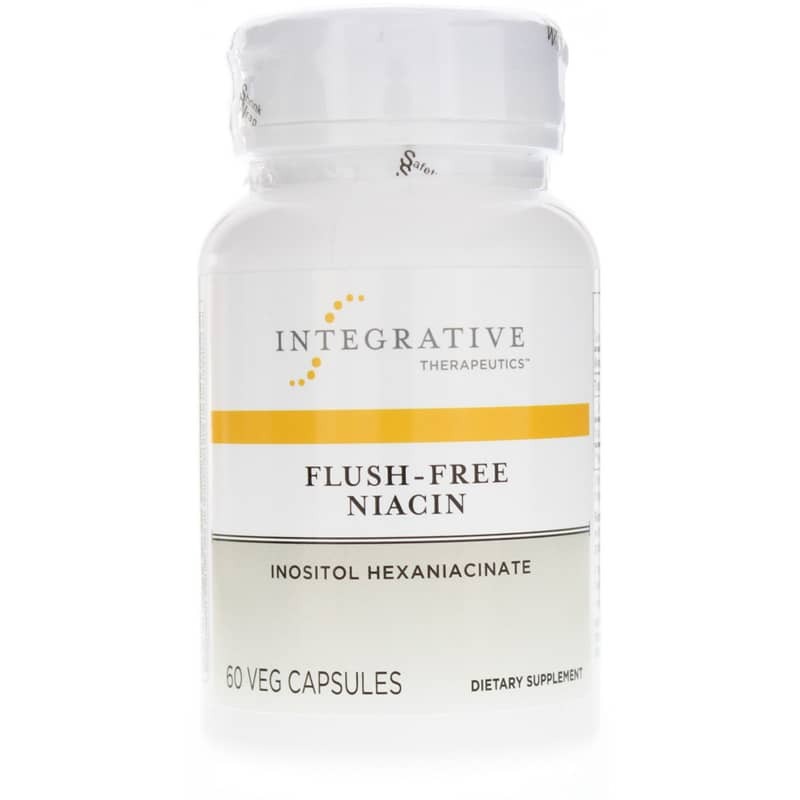 Start using Flush-Free Niacin from Integrative Therapeutics today and stay on the natural pathway to optimal overall health and wellness. Adults: Take 1 capsule three times daily with meals or as recommended by your healthcare practitioner. ***Niacin is an essential vitamin. 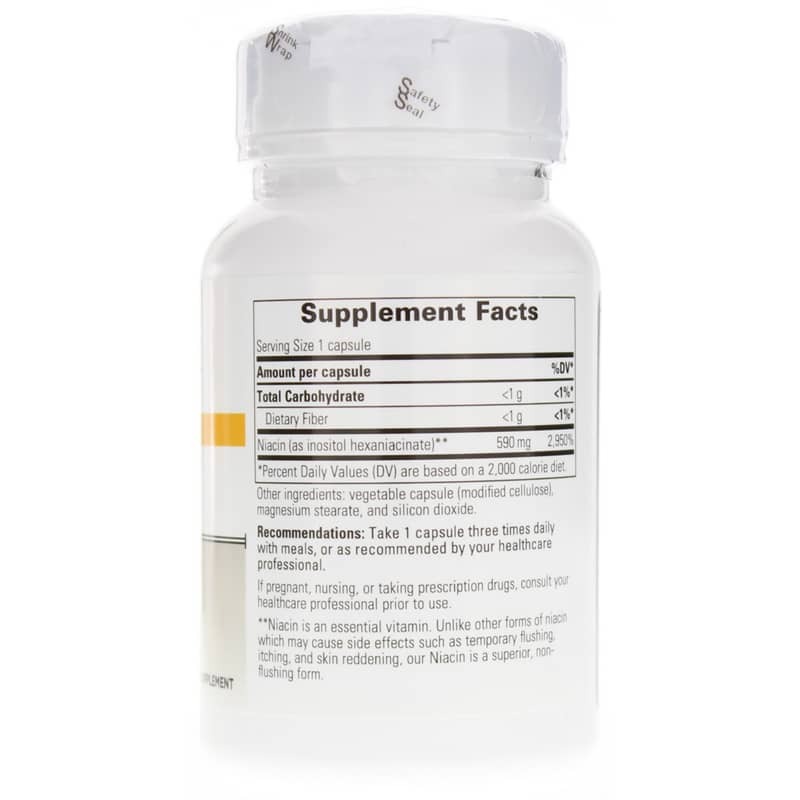 Unlike other forms of niacin which may cause side effects such as temporary flushing, itching and skin reddening, Integrative Therapeutics Niacin is a superior, non-flushing form. I wanted to stay off statin drugs that require a prescription and have side effects and this product was the right one!